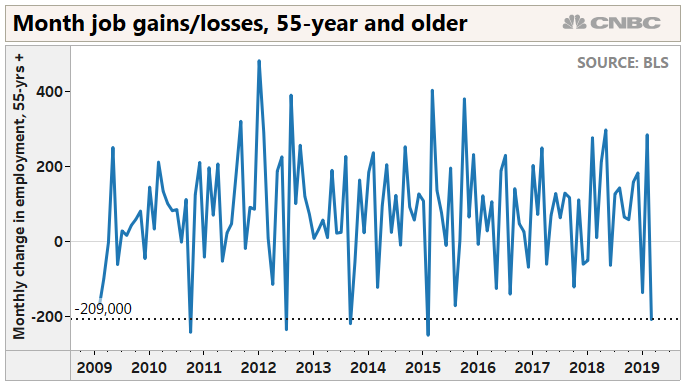 Employment for people 55 and older dropped 209,000 last month, the biggest such decline since February 2015, according to the Bureau of Labor Statistics. 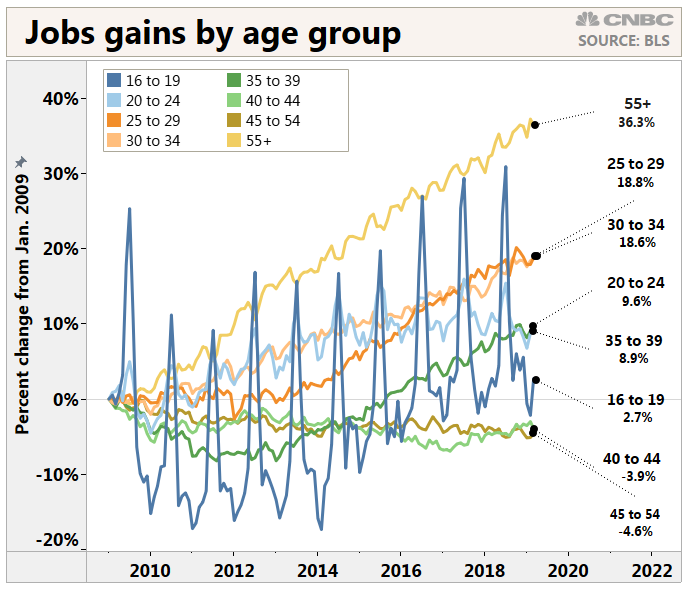 The monthly employment number tends to be volatile and the broader trend has been positive for older workers, experts say. This age group still has the lowest unemployment rate among all ages.